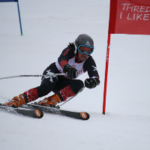 Wanaka’s Jossi Wells will be crowned the Association of Freeski Professionals (AFP) 2009-2010 Overall World Champion, marking the first time a Kiwi freeskier has finished the season ranked No. 1 in the world. This year Jossi has shown his excellence in all three disciplines, where most skiers are specializing in one to find success. Wells is currently ranked first in halfpipe and fifth in slopestyle in the AFP World rankings. Wells’s year was highlighted by multiple podiums and top-10 finishes, including a second Winter X Games medal, a silver in halfpipe, in late January. Wells’s season kicked off in August on home turf, where he took second place in Slopestyle at the 100% Pure NZ Games. Other notable performances included a win at the Austrian Open in February and another podium finish at the European X Games. In the Big Air discipline, Wells currently sits in eleventh place. After a string of uncharacteristic finishes in the fall big airs (Freestyle.ch, Freestyle.Berlin, and 100% Pure NZ Winter Games), Wells tied for fourth at the Winter X Games Big Air to bump him up in the standings. While Wells missed an opportunity at the Frostgun Invitational (an AFP Silver event), he can still improve his Big Air ranking at the Jon Olsson Invitational in Are, Sweden in mid-April. Wells was also a part of the progression night at X Games Big Air, where he threw the first switch double cork 1440, alongside U.S. star Bobby Brown’s switch double misty 1440 and TJ Schiller’s double cork 1620. Despite the small changes that can go down for the rest of the AFP season, Wells’ overall title is unassailable.